From Yu-Gi-Oh to Mega Man to Hannibal Lecter, pop culture collectible company Funko has dedicated itself to creating the perfect vinyl figure for anyone. 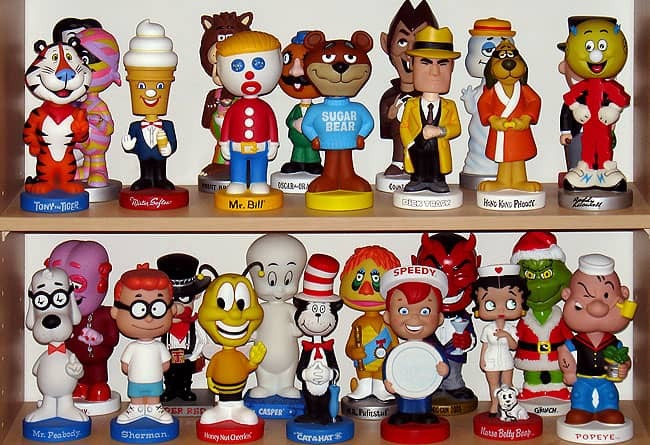 Funko was founded in 1998 by Mike Becker and originally created bobble heads known as ‘Wacky Wobblers’. The first one to ever sell was created to look like Big Boy, a fast food icon. From there, different types of Funko collectibles came into existence, with the first Pop! vinyl debuting in 2011 at the New York Toy Fair. Since then, Pop! vinyls have grown insanely in popularity to the point where some avid collectors have over a thousand unique models in their collection. A friend of a friend happens to be a collector and owns almost 600 figures. And under the social media handle @NerdGirlCustoms, she also creates her own custom-designed Pop!-style figures. 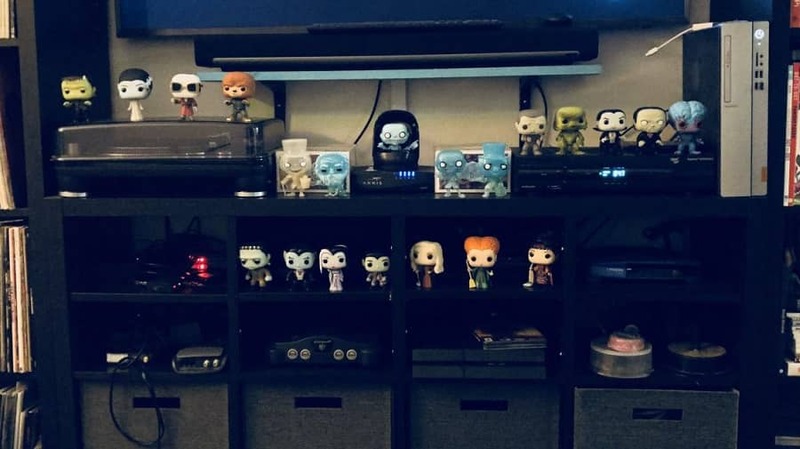 I recently spoke to her about her collection, to find out what got her started collecting, which of her Pop!’s are most valuable, and where on Earth she stores them all. What got you started with your collection? Was it an “I’ll just buy this one” and then it went from there kind of thing, or did you have some kind of idea that you might turn it into a serious collection? Honestly, the very first Pop! I was given (Disney, Evil Queen), I gave away to someone else a few months later. I wasn’t that into them at first, and I was trying to do some downsizing since I’m a little bit of a pack rat (I have the stubs of every movie and concert I’ve been to in the last 18 years), so it was just a casualty of the downsizing. I didn’t think much about it at the time, but that summer I was at San Diego Comic Con and I saw they made one of my all time favourite characters – Bumble, from the old school Rudolph cartoons. I had to have him. It was just that one, and then it was another… and another… and another, and… well, now I’m here. Each year, San Diego Comic Con releases its own rare and exclusive products sold only at the convention. SDCC does have some shared exclusives with certain retail partners. You can find a list of this years SDCC shared exclusives from July here. What are your three favourite Pop! figures from your collection? I have a different top three, depending on the criteria. My personal favourites are Bumble (obviously! ), Pepe Le Pew because it’s an inside joke from my childhood with my dad, and – this is cheating because it’s technically a set of four – the Haunted Mansion ghosts. However, there are some Pop!s that are just really great sculpts, that may not have a “personal” attachment. I think my three favourite of those would be Jolly Roger, The World War II Captain America, and the “unfinished” C3PO. 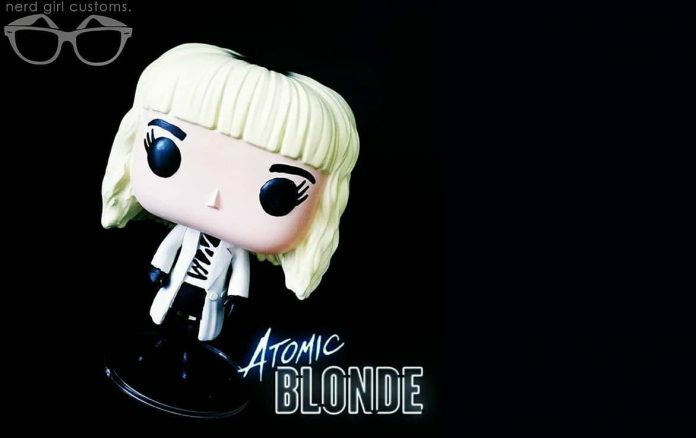 Do you know which Pop! in your collection is the most valuable? Do you plan to ever sell any? There are several websites out there that allow collectors to inventory their collection that puts together an estimate of how much they’re worth based on recent eBay sales, so I have a very good idea of how much my collection is worth. My most valuable one right now is the one they released of Paul Feig, the director of Bridesmaids and Ghostbusters. There were only 200 of them ever made, so it’s worth almost $500 right now. That’s pennies compared to some, though – some go for five figures! I don’t have any intention of using my collection as an “investment” so to speak. I only buy the things I like, so the value to me is my personal enjoyment, not the actual monetary value. One of the most expensive Pop! Vinyl’s current “on the market” is a Disney Dumbo (clown) from the 1941 classic movie. A total of 48 were made in 2013. You’ll be hard pressed to find a copy of this collectible for sale, but according to Pop Price Guide, some have sold on eBay for $5,000. Tell me more about your custom Pop! figures. What is that process like and what got you started doing that? I got started because I wanted some characters that Funko didn’t make, so it was up to me to make them! I’ve done about 400 customs in around two years, both for myself and for other people. It’s a lot of work, but it’s also a lot of fun and a great stress relief. I’ve definitely noticed a lot of improvement in some of my artistic abilities form constantly getting to exercise those creative muscles. It’s really expanded my creativity on other projects as well. The process starts with looking for a base Pop! that has similar features to what I’m looking to make. There are thousands out there, and new ones are being released constantly, so even just that process can take awhile. Then it’s all about sculpting, moulding, sanding, painting and just generally transforming them into something new. Where and how do you store all of them? My girlfriend would probably be very happy if I stored my Pop!s in a closet, but for now I have some shelves above my art space, a few in the living room (for all of my Stranger Things figures! ), and a few on my desk at work. I also have a few mini displays in front of something like a movie poster or comic book. There’s also a space in my entertainment centre where I cycle through a themed display every month or so. For example, the month that Infinity War came out, I set up a display of “Team Wakanda”. It’s Halloween season now, so I’ve got a little display featuring Hocus Pocus, The Munsters, and Ghostface from Scream. I’m one of those ‘weird’ collectors who stores all of their Pop! vinyls out of box, so I like to move them around and get to see them more often. There’s actually a Pinterest page dedicated to all the different ways that collectors store their Pop! figures. Check it out here. 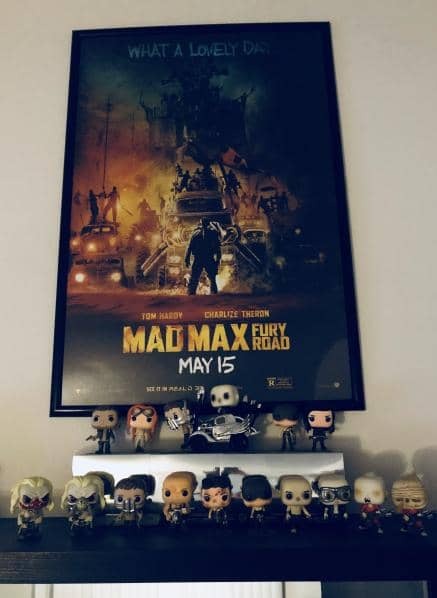 Finally, how many Pop! vinyls do you have in your collection now? I have about 600 now, which is crazy considering I’m so selective about which ones I buy. Oh, and that does include customs I’ve made so they’re not all original. Follow @Nerdgirlcustoms on Instagram and Twitter to see her incredible custom Pop! figures.